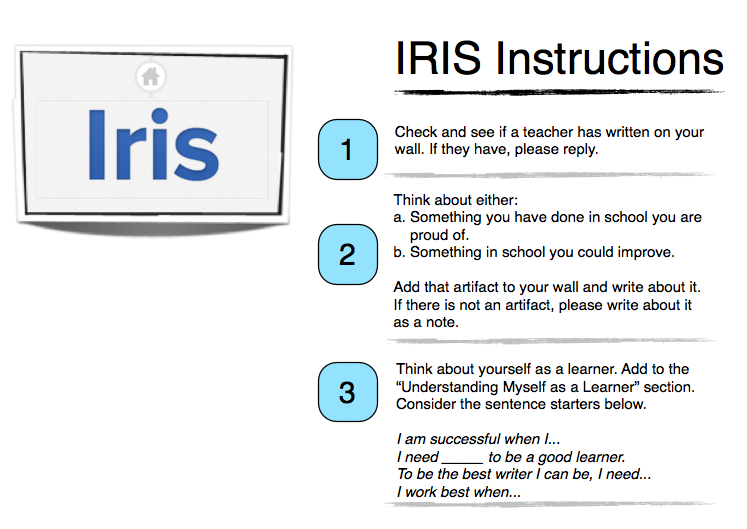 The steps below show you the expectations for your work with IRIS. Please share your work with your teachers! - What did I learn? - What was easy or hard about this project? - If I could do it again, what would I do differently?